Kim Jones has been giving the guys a substantial number of options from top to toe as far as his Summer 2019 collection is concerned. From bags to shoes, which you can read about over here, down to these 25 mm belts that feature a cool buckle done in collaboration with Matthew Williams. There are two versions of the buckle to keep an eye out for, one being a rectangular version that’s reminiscent of the ones found on Williams’ very own rollercoaster belt buckle, but furnished with extra Christian Dior logos and rendered in a palladium-finished aluminium for extra shine. The other’s actually built in the shape of C and D which come together to form a giant CD logo, amplified further with additional screw detailing all around for a cool utilitarian look. 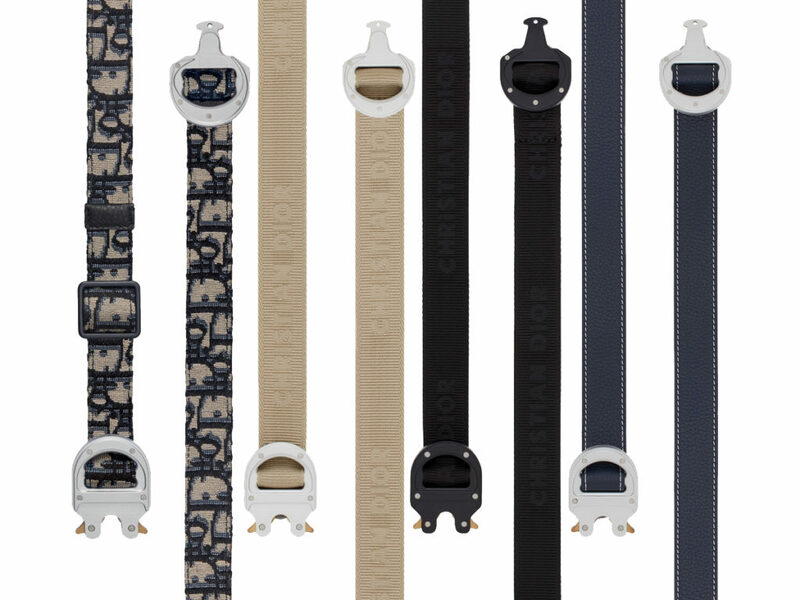 As for the belt’s strap, there’s the highly popular Dior Oblique canvas, as well as coloured cotton canvas versions inlaid with Christian Dior logo detailing, available in single tone (Beige or Black), two-tone (Beige/Blue) or tri-tone (Beige/Blue/Red) options that are priced at SGD1150 each. The plain leather straps, on the other hand, come in Navy Blue grained calfskin that’s priced slightly higher at SGD1250. Which is not bad at all for a seasonal piece that comes together with a unique belt buckle and available only in limited quantities. You will be able to find these belts over at Dior Men boutiques in Singapore (ION Orchard or Marina Bay Sands), so head on down and snag one ASAP, because one thing’s for sure, these belts will not be sitting on the shelves for long.